Remote sensing studies for resources survey using satellite data and imageries with GPS & GIS study as required. 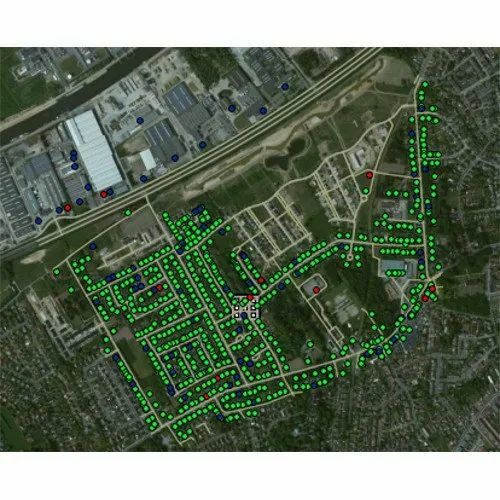 We are among the reputed organizations for offering an optimum quality range of GIS Remote Sensing Services. With the use of modern techniques, we provide accurate studies service as per industry norm. Apart from this, we are offering this studies service range at the budget-friendly market price. We, "Ground Water & Mineral Investigation Consultancy Centre Private Limited"from 1985 are a well-established service provider of Water Management Service. Our provided range of services consists of Integrated Watershed Management, Strom Water Management, Water Conservation Service, Soil Resistivity Testing Service, Topographical Survey, Hydro Geological Study, Mineral Exploration Service, Ground Water Recharge and many more. Our offered service is admired amongst patrons for reliability and on-time execution. Apart from this, we render this water management services at the market leading prices.